The Aux System is a particle system within the main particle system, thus the name Aux or 'Auxiliary' System. Aux particles are emitted from the main particles system either continuously or when the main particles collide. Aux Systems are useful for creating effects like particle trails, particle traces and organic lines. And remember that each system in a Multiple System can have its own Aux System as well. See the tutorial at the end of this page for learning how to create and work with Aux systems. Left to Right: Emit Probability is low and high. 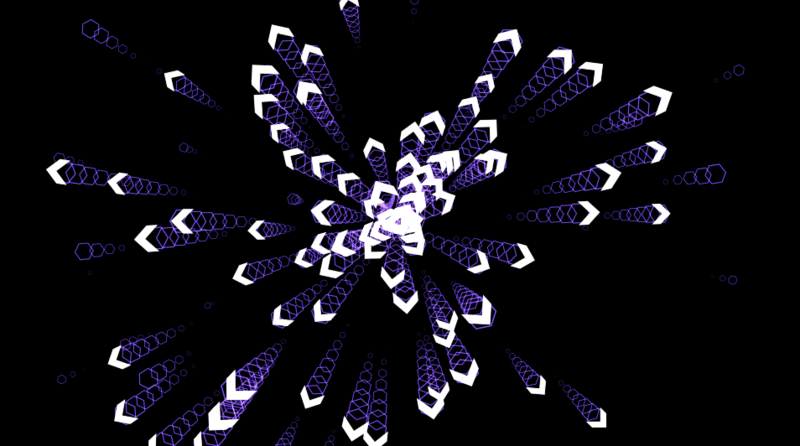 Left to right: Particles/Sec is low and high. Emit to Continuously. 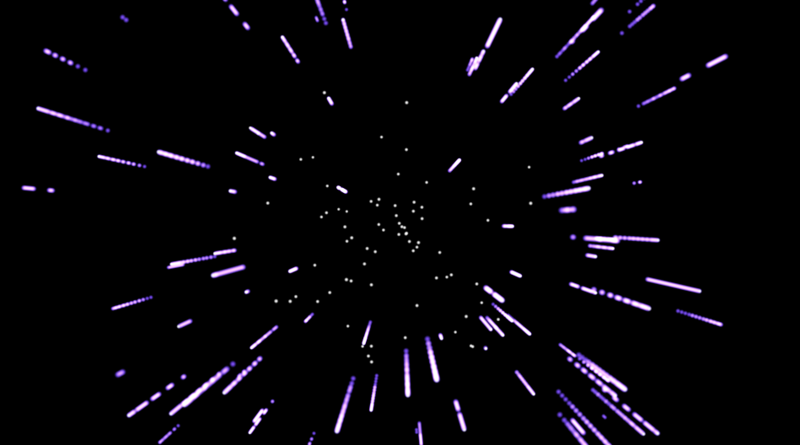 The Inherit Main Velocity control lets you add motion to the Aux particles. Inherit Main Velocity limits the creation of Aux particles based on the lifetime of the main particle. High values make the Aux particles move faster because they start out with, or 'inherit', more velocity. 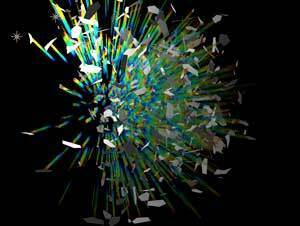 The main particle velocity is set in Emitter group > Velocity. Type chooses the Particle Type used by the Aux System. 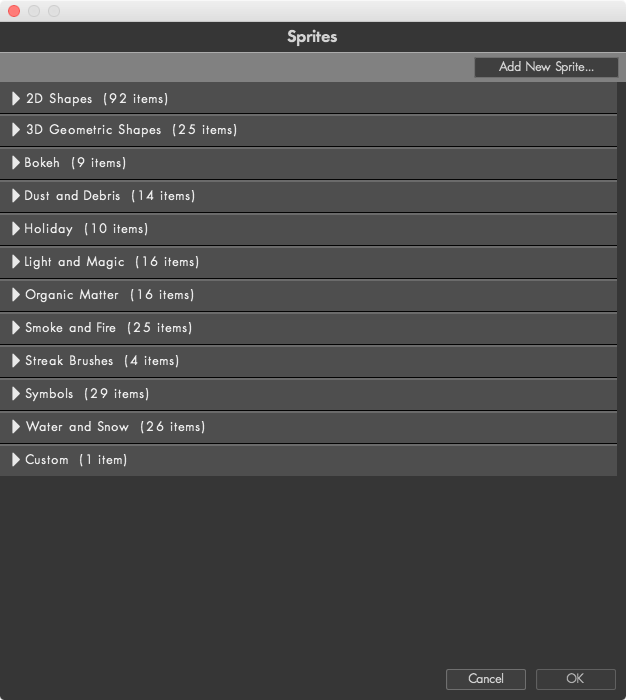 These are the same choices as the main particles, and now includes using Sprites or Textured Polygons. Split Clip modes split the custom layer into a number of clips. The number is set the parameter Number of Clips. 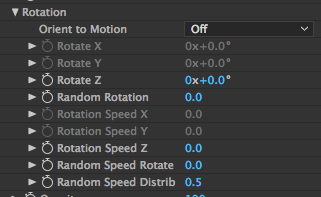 For example, if the custom layer is 30 frames and Number of Clips is set to 3, that means the custom layer will be split into three 10 frame clips. 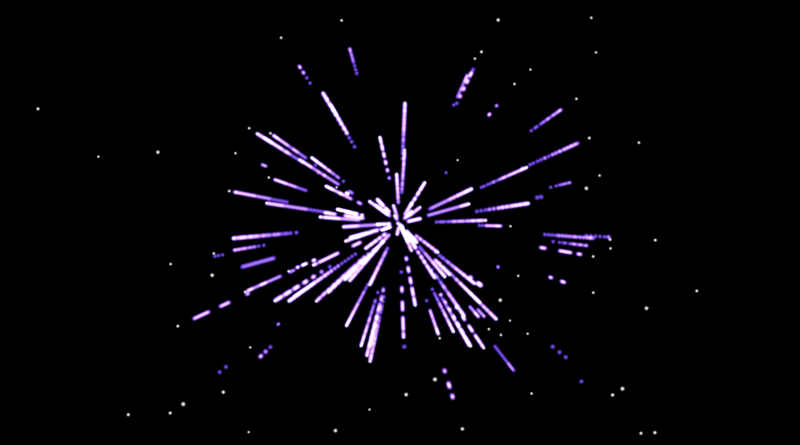 This is useful for creating a set of animated particles. Split Clip - Play Once: Randomly selects one of the clips and play the clip once. 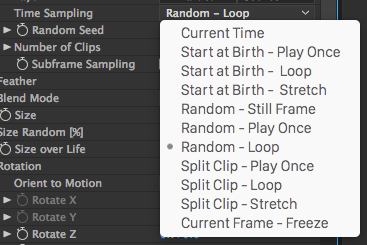 Split Clip - Loop: Randomly selects one of the clips and play the clip looping. 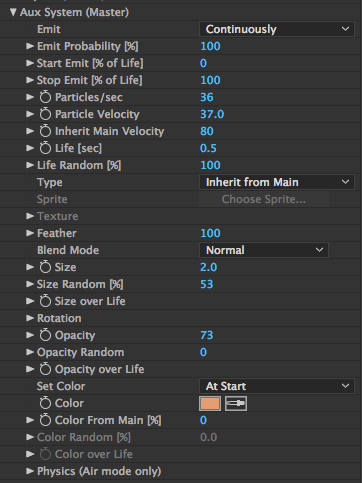 Split Clip - Stretch: Randomly selects one of the clips and time-stretch it to fit the particle life. Let's emit some particles with the Aux System. Start with a new comp (Ctrl/Cmd-N). Make it 640x480 at 30 fps. 5 seconds long. Create a comp-sized Solid (Ctrl/Cmd-Y), choose Make Comp Size, and click OK. Apply Effect> RG Trapcode> Particular to the Solid. 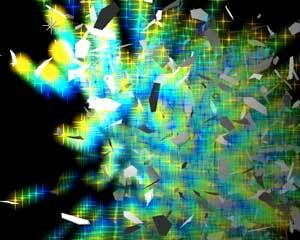 When emitting particles from particles, you can easily generate an overwhelming amount of particles. Let's start by decreasing the emission of the main particle system. 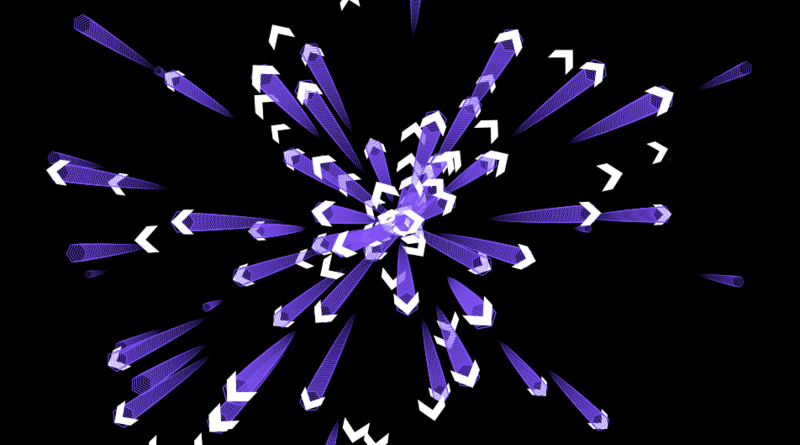 Set Emitter> Particles/sec to 20. Try a RAM preview. Not too exciting. We will get the excitement going by activating the Aux System. Set Aux System> Emit to Continuously. 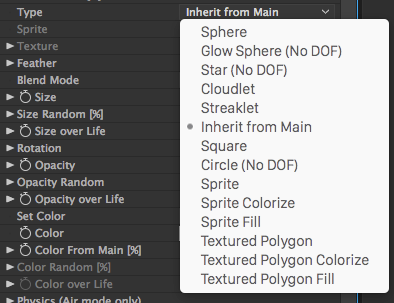 Set Type to Same as Main. 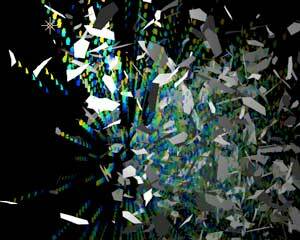 To make the Aux Particles stronger, set Aux System> Opacity to 100. Hit RAM preview again. 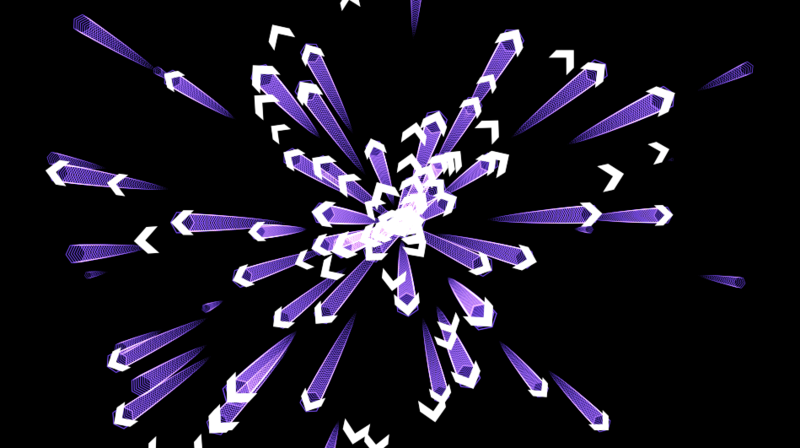 Now we have particles generated from the particles. To get a long trace for each particle, set Aux System> Life to 5. This way the Aux Particles lives long enough to produce a long trail. To get a denser trace, set Aux System> Particles/sec to 20. Add some gravity by setting Gravity to 100, and then click OK. Try RAM preview and notice that the Aux System has its own Gravity control. To change gravity for the main particles, use Physics> Gravity instead. 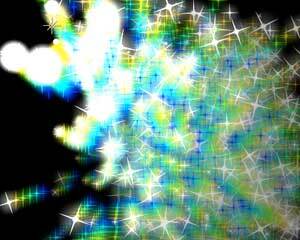 To make it look more like each particle is emitting a heavy trail, give the Aux Particles some initial, random, velocity. Set Aux System>Velocity to 10.